Way back near the beginning of 2014, my friend Caroline asked me if I'd be willing to contribute a project to her next book. Crafty Little Things to Sew is finally hitting stores this month, and I couldn't be happier to see it in print at last! 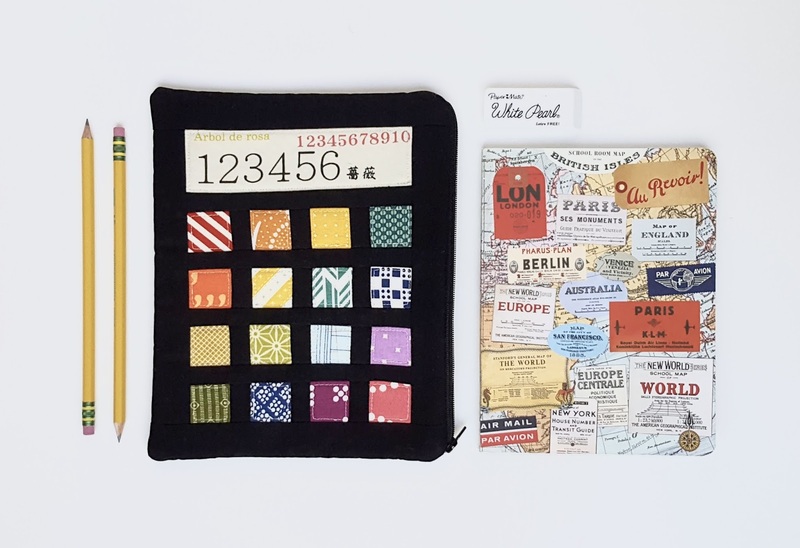 When I came up with the idea for my Patchwork Calculator Tablet Case, I was actually thinking that it would be a fun place to stash my daughters' math flashcards. The pattern was loosely based on the look of a calculator, mostly because I thought it would be a great way to include lots of colorful patchwork for the "buttons." My first version used a rainbow of geometric prints and a number scrap for the "screen" set against a solid black background. I quilted all of the colored pieces just inside each shape. I love to use a pouch this size for a sketchbook and drawing materials -- so perfect for inspiration on-the-go! For my second attempt, I wanted something more whimsical. I switched out the black background for a more organic looking brown print, used a text print for the "screen," and carefully fussy cut 16 squares from Heather Ross fabrics in shades of white, pink, yellow, and orange. This time I quilted around the squares and rectangle instead of inside them. 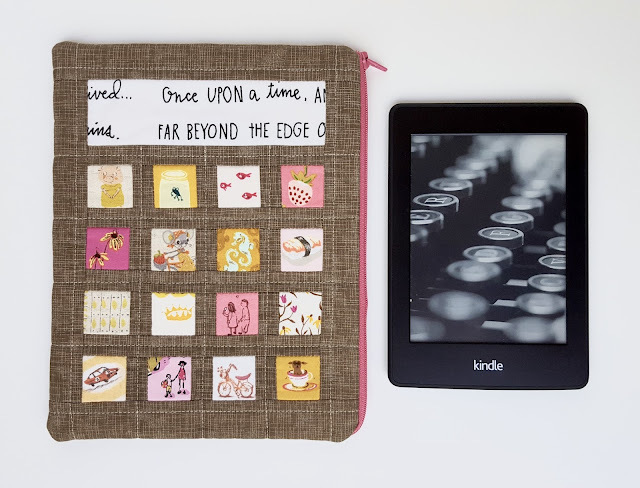 As you can see, it really makes a wonderful case for a Kindle or tablet with room to spare for a few more items if you want to carry the pouch instead of a purse. 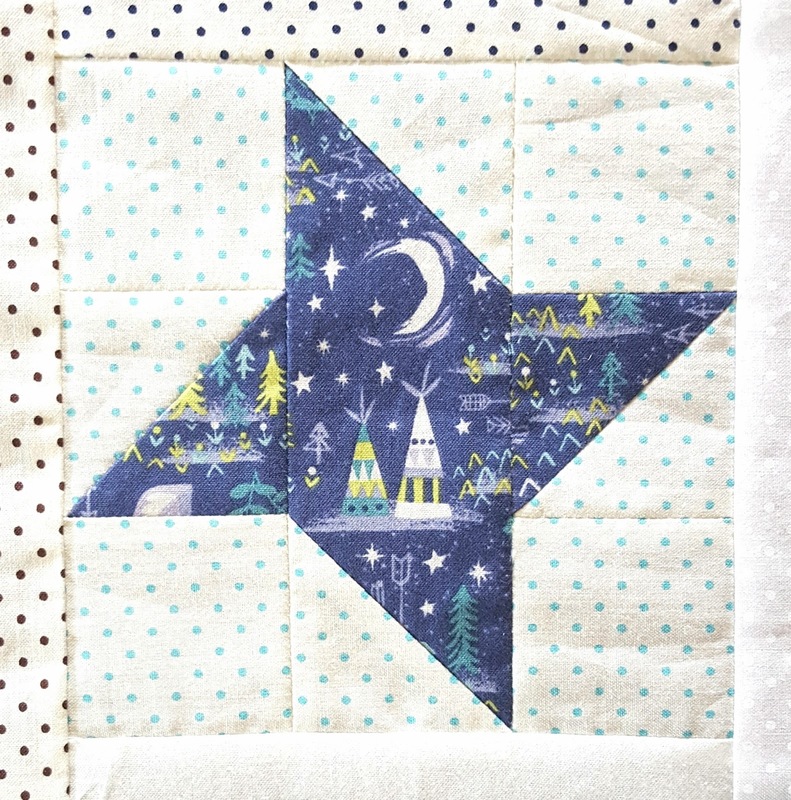 This project makes a great gift, and it's a quick finish too. You can easily put one together in an afternoon. 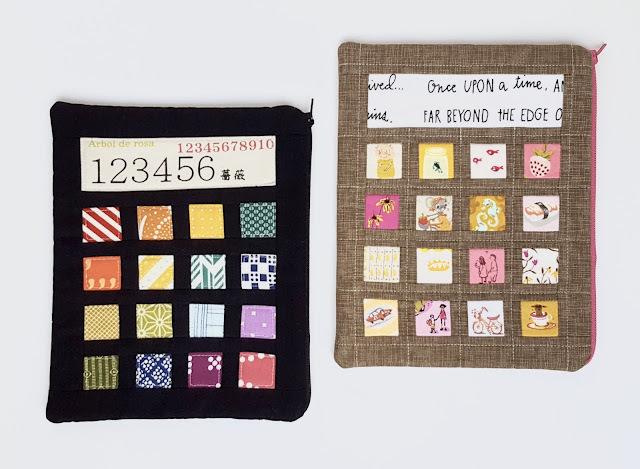 Caroline's book is full of these sorts of projects, which are from a wonderful array of talented designers, and it's why I love the book so much. There's nothing I enjoy more than fast, fun, useful sewing! 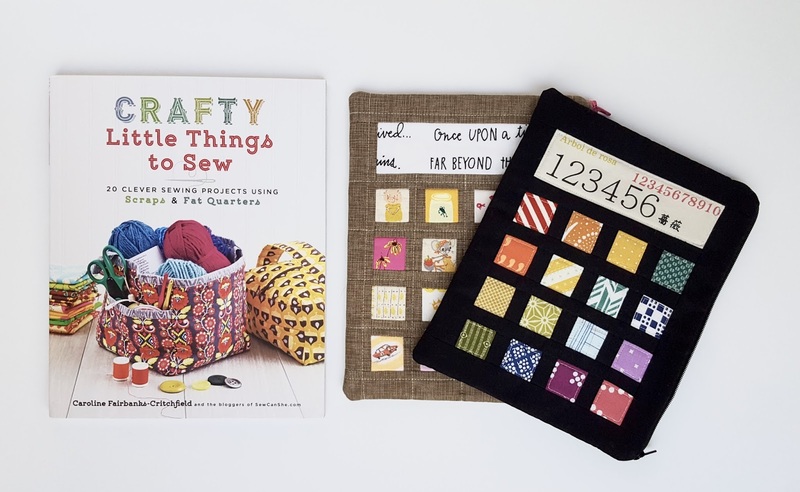 I'm giving away a copy of Crafty Little Things to Sew to one lucky winner. Just leave a comment below to be entered in the drawing. You can get extra entries by tagging friends on my Instagram post (@fabricmutt) too! Just be sure to leave an email address in your comment if you're a no-reply blogger so that I can get in touch with you if you win. I'll be picking a winner on Thursday. Be sure to follow the other bloggers on the tour. There are so many fabulous projects coming up! It seems impossible to believe that I'll be turning 40 this December, but there it is in black and white. Most of the birthdays over the years are a blur, but a few stand out in my memory. There was the year that my coworkers at the little grocery store where I worked threw me an impromptu surprise party. There was the year that my hair caught on fire from the candles on my cake (thankfully I only walked away with singed ends and a great story). And then there was the year that I fell in love with Peter Pan. I had asked for the brand new VHS tape of the Disney version for my 12th birthday, which ended up being one of the few years where I was gifted with a nasty cold bug on my big day. I was crushed, but we made the most of it. I wound up spending the whole day in my pajamas on the living room couch watching the movie over and over. It wasn't what I had planned, but somehow Peter Pan has held a special place in my heart ever since. So when I heard that the incredible Jill Howarth was designing a fabric collection called Neverland based on the original book, I immediately emailed Riley Blake and asked if I could be a part of her tour. This collection couldn't be more charming. I'm an enormous fan of Jill's illustrative work. Her style has so many elements of the mid-century illustrations that I adore, yet she gives it all her own special touch. 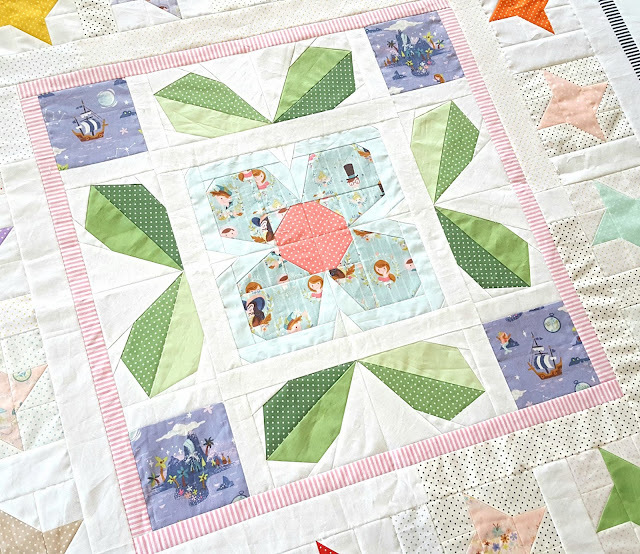 She brings the Peter Pan story to life with a beautiful mix of designs. My favorites include the iconic flight over London, a sweet floral, and a wonderful map print featuring ships, mermaids, and Neverland island. 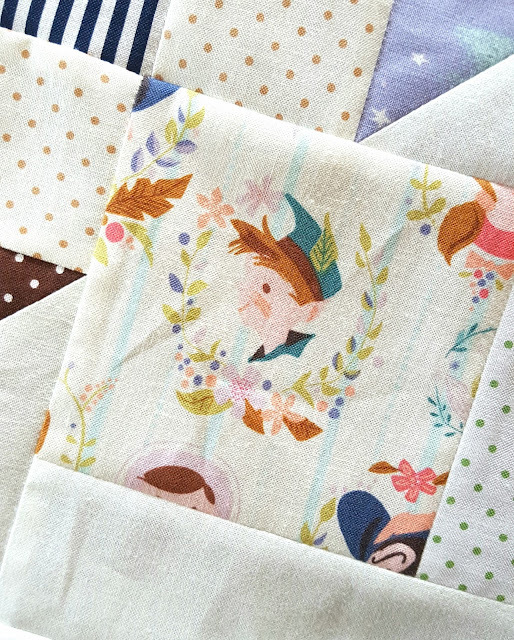 I decided right away that I wanted to make a medallion quilt using all the Neverland prints mixed with a rainbow of Riley Blake basics -- mostly Swiss dots with a few stripes and solids. 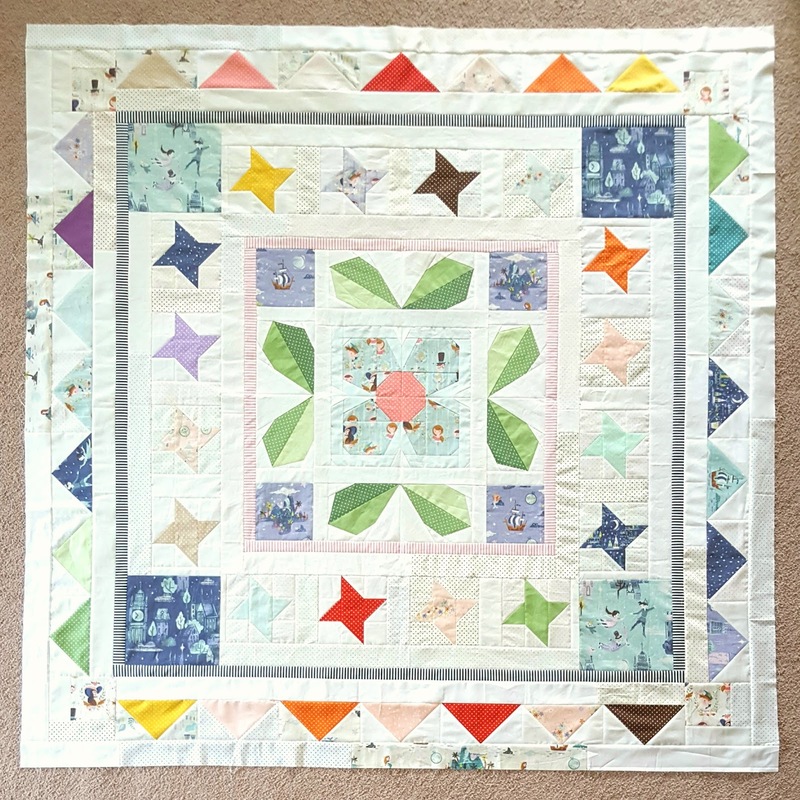 The center of my quilt is the paper pieced Swedish Bloom flower and leaf blocks from my friend Ayumi's book Patchwork, Please! which is still one of my favorite quilting books of all time. I surrounded them with a ring of traditional friendship star blocks and then with a ring of flying geese all pointing outward. For the background fabrics, I used a scrappy mix of low volume prints from the Neverland collection, Swiss dots, and white solids. It all came together to make such a fun quilt top! After much deliberation, I've decided to quilt this piece by hand. It will take some time, but I'm looking forward to spending my evenings with a needle and thread and a quilt in my hands again. Somehow it seems appropriate that this fabric about a classic journey be quilted the old fashioned way, which is always such a journey in itself for me.